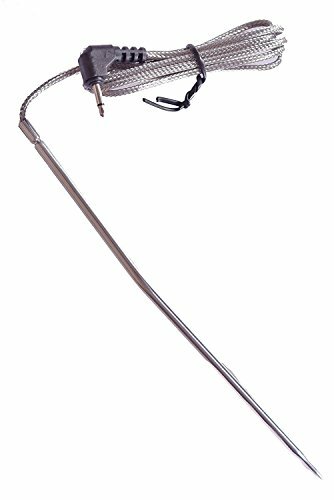 Replacement Food Probe compatible to: Maveric BB-22 BBQ thermometer Famili MT004 Famili OT007 Famili OT009 Famili OT008 (food probe) 6.5" Food Grade Stainless Steel thermopro replacement probe Temperature Probe also for Thermopro meat thermometers: ThermoproTP04 Thermopro TP06S ThermoproTP07 Thermopro TP09B Thermopro TP10 Thermopro TP16 Thermopro TP17 Thermopro TP08 (food probe) Thermopro TP20 meat thermometer Please Note: The tip of the probe tube can be run under a tap or cleaned with a damp rag. 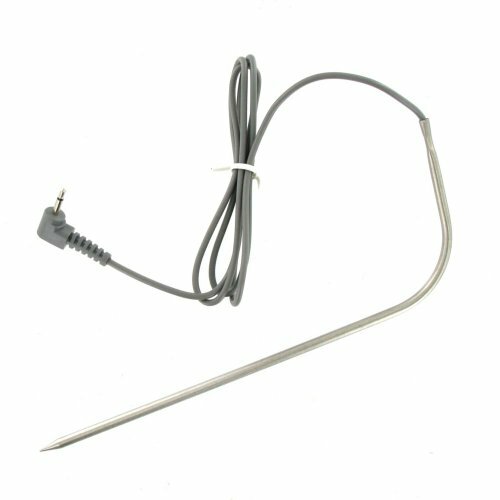 Keep the probe cable away from heating elements, flames, coals, grill or oven racks - all of which can reach temperature far higher than 500 F. Avoid repeated kinking or twisting the probe cable which can break wires over time. With moderate care probes will last a long time. 1. Do not immerse the probe wire or the housing in water, this could cause the probe to short out. It's okay to immerse the probe itself in water. 2. 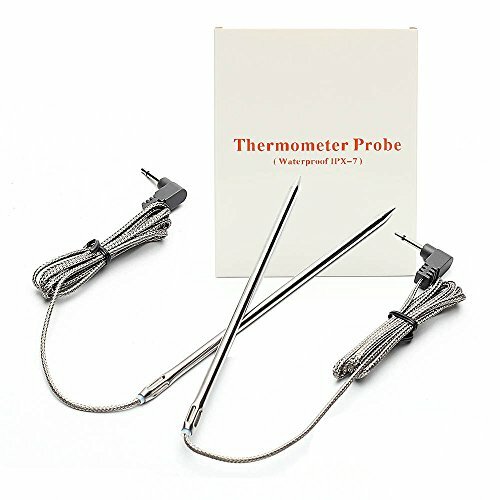 Clean and dry the probe thoroughly after each use with a damp cloth. 3. Always insert your probe in the thickest parts of the meat while avoiding fatty or boney areas. Warning: ***DO NOT put thermometer probes directly in the flame. ***DO NOT put them in microwave oven. ***DO NOT put the probe holder into oven. 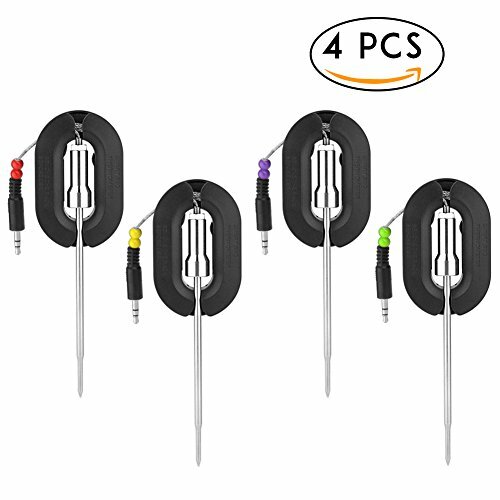 ***And the temperature probes are NOT dishwasher safe. Our company Uvistare is a young company, and we are always sparing no efforts to make boring life more simple and efficient. All the products we sold arecertified, and are 100% committed to the quality and safety of products. NOTE: If there is anything dissatisfied, we will pay your money back without any doubt! Don't hesitate anymore, love the product or full refund,totally a risk free purchase! Just ADD IT TO CART to enjoy grilling party. 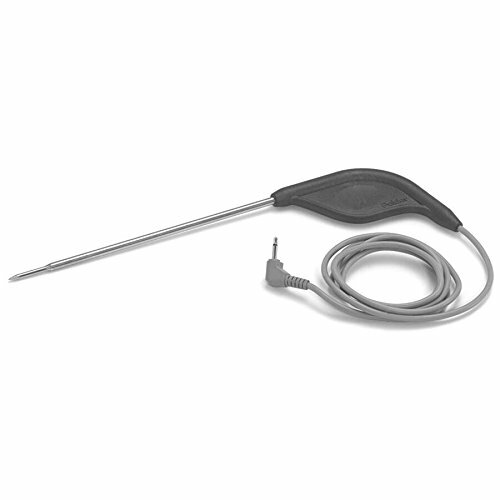 The BBQ Probe is best used for monitoring the temperature inside of the BBQ, Pit Or Smoker. It does not have a pointed tip. It's straight for easy mounting to grill racks and for routing through holes. 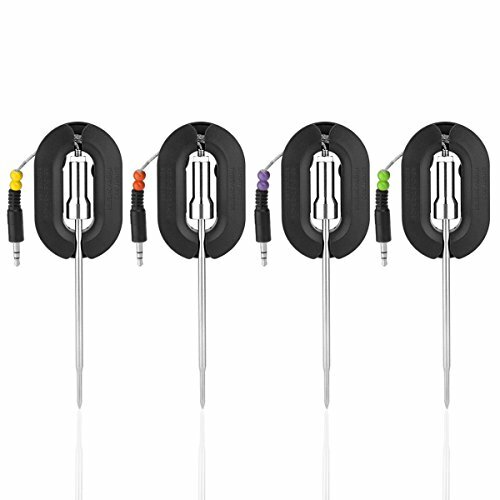 The FOOD Probe Is curved toward the braided stainless steel probe wire and has a pointed tip to easily insert in food and meats. 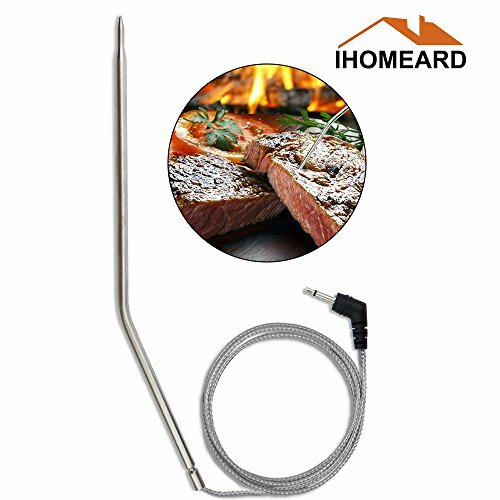 The HYBRID Probe can be used for either BBQ or FOOD. It's straight for easy mounting to grill racks and for routing it through holes, and pointed for easy insertion into meat. 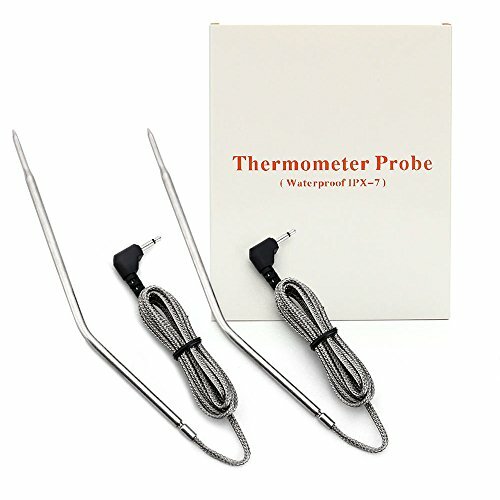 Compare prices on Replacement Thermometer Probe at ShopPlanetUp.com – use promo codes and coupons for best offers and deals. We work hard to get you amazing deals and collect all available offers online and represent it in one place for the customers. Now our visitors can leverage benefits of big brands and heavy discounts available for that day and for famous brands.